Don’t miss this immaculate Shastan home located in a quite, newer neighborhood. You get the best of both worlds with this location. A lovely, traditional neighborhood but situated across the street from acres of orchards that sit on the protected agricultural green line. 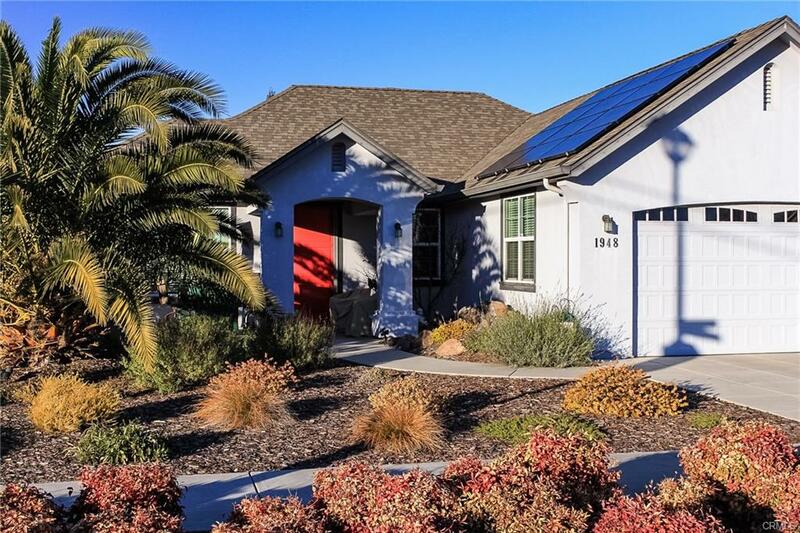 Home features owned solar, many energy efficient additions, low maintenance landscape and two beautiful rock waterfalls. Home is great for entertaining. Treat your guests to dinner in the backyard under the generous sized patio cover and enjoy the sounds of nature and the waterfall. Kitchen has custom door pulls, roll out shelves and a big country style sink. All the windows have blinds and the gas fireplace is adorned with a hand hewn oak beam mantle. Whole house fan great for summer mornings and security system is plumbed and ready to go. This is a beautiful, well taken care of, gently lived in property. Ready for a new owner to love it.